I'm pretty old school and still love printing photos, how about you guys? 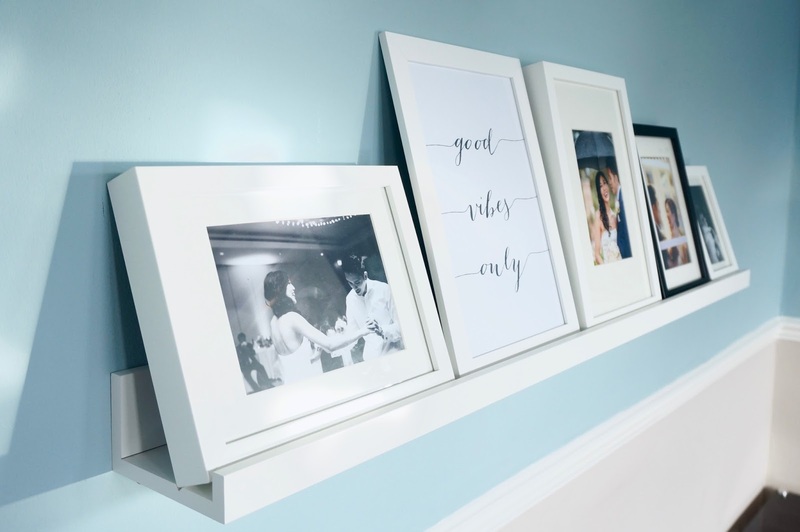 I wanted a nice way to display our wedding photos and was in the mood for a DIY project so I spent ages scrolling through Pinterest, where else?! Soon enough I was putting together an inspiration board for a gallery photo wall. 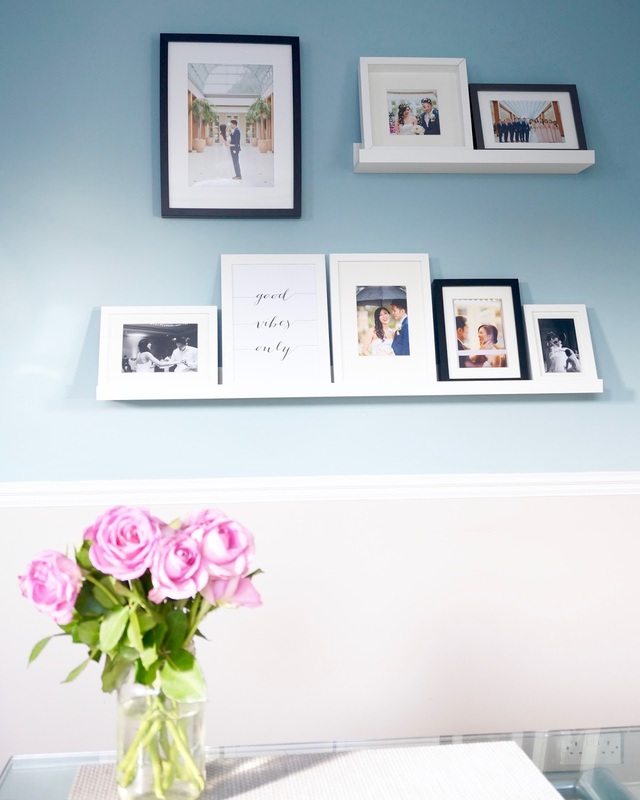 I loved the idea of picture ledges to display frames, without the hassle of hanging up individual ones! 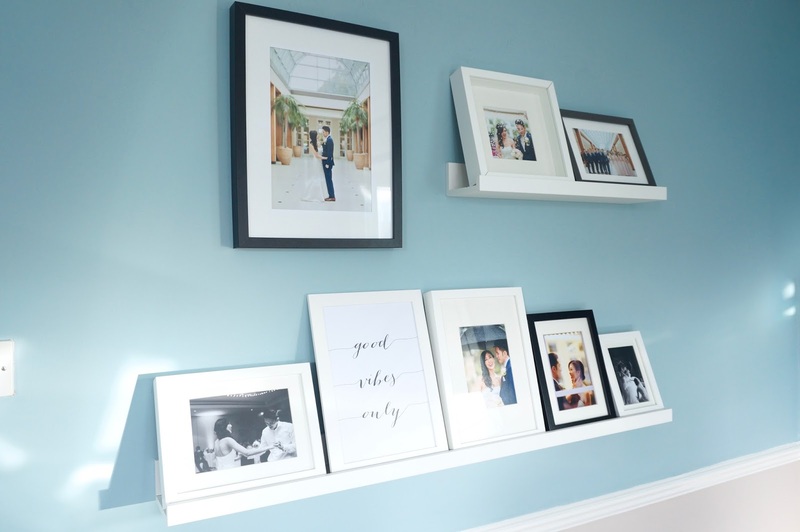 If you fancy a stylish and changeable way of displaying your photos, I've put together a few steps to create an amazing photo wall. The fun part is coming up with a style and theme. As you can see from my inspiration board I wanted white picture ledges with a mix of black and white frames in different sizes. I also wanted one large feature frame that I would fix on the wall to create a nice accent piece. 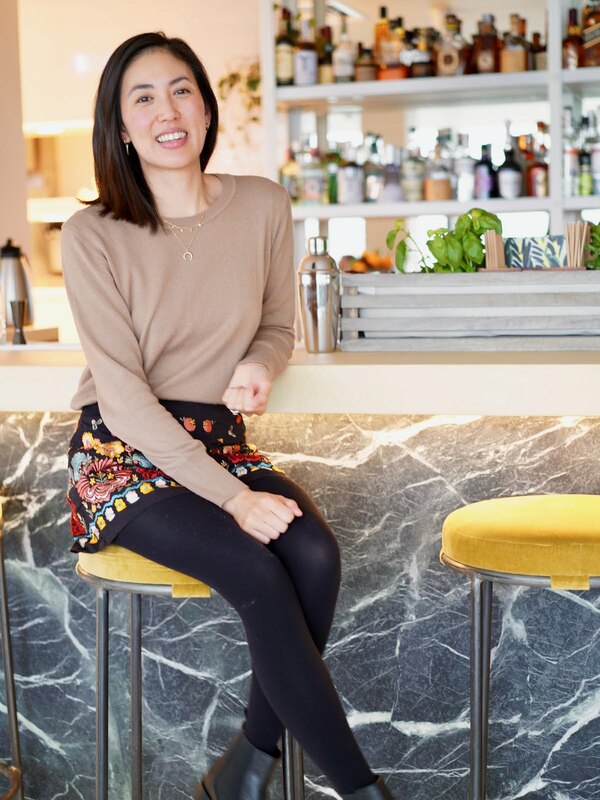 Of course you don't have to use picture ledges and go for fixed frames, it's up to you! Think about your home decor and furniture and what frames would suit your existing space. You want something to compliment your home not work against it. 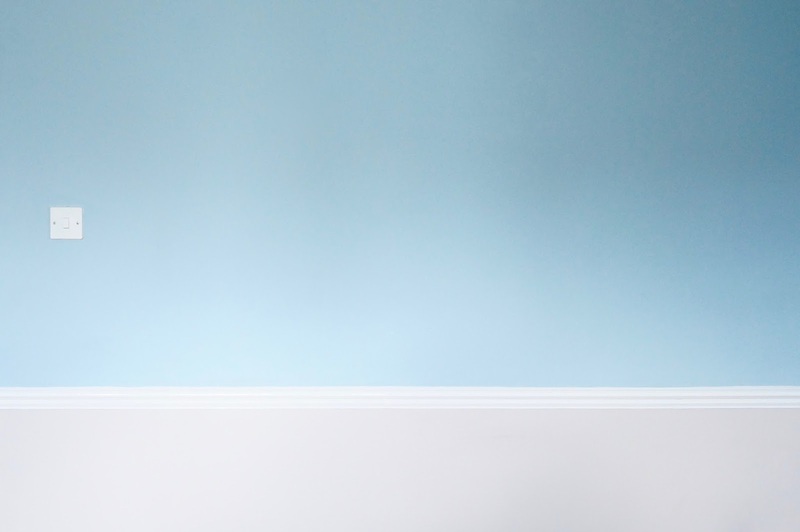 When you decided on a style, think about the space you'll be using and what wall will work best in your home? We have a blank space in our living room, which I thought would look great. 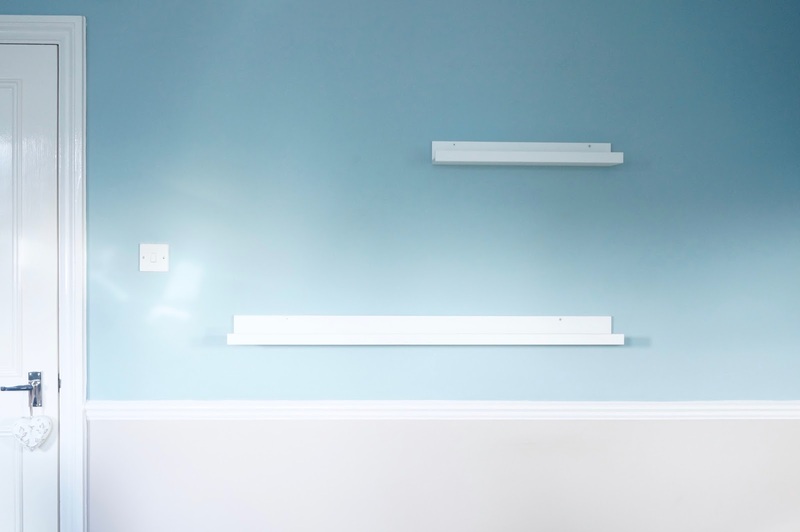 Make sure you measure the wall so you'll know how much space you have to work with and what size ledges and frames to get. 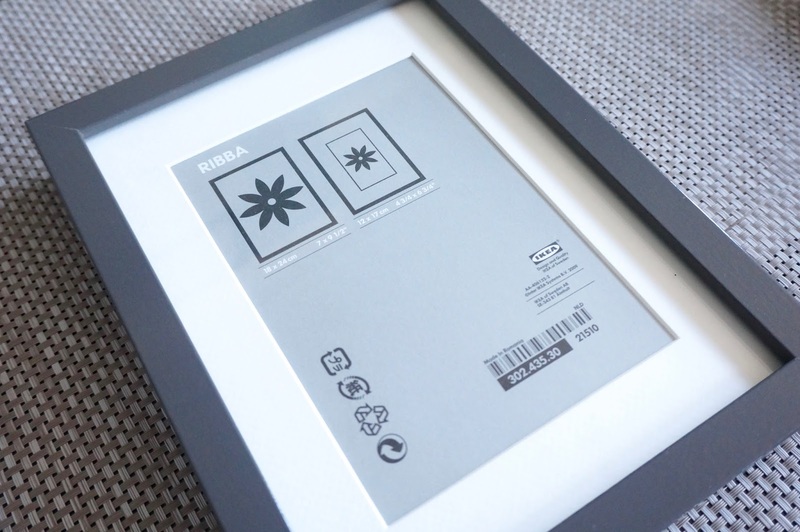 Ikea do a whole load of inexpensive frames, my favourite is from the Ribba range - modern and simple. I picked up a variety of sizes to create a non uniform look. If you can, lay out all the frames on to the floor to see which ones work and if you have too many/few frames to fit on the ledge. 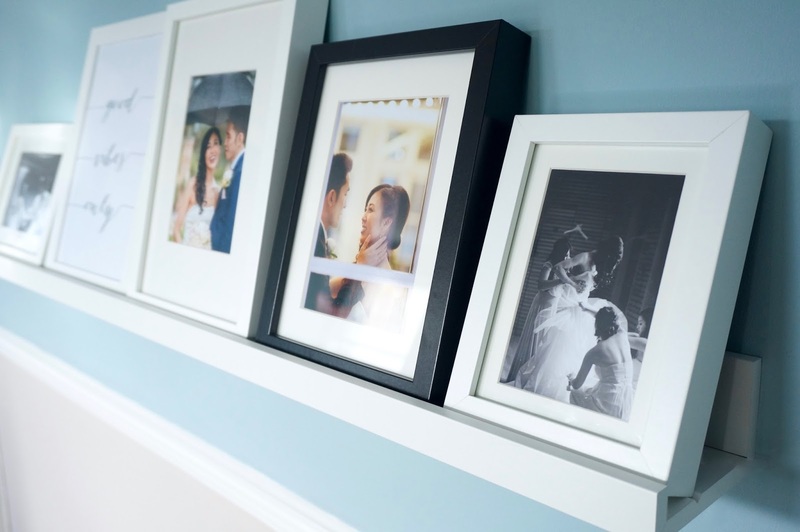 When you've decided on your frames, have fun picking which photos and images you want to display! I thought it would be nice to include a mix of colour and black and white photos from our Wedding. I also included a quote I got from Etsy to add a bit of interest, you guys know I love inspiration quotes! It was trail and error to see which size photos worked best, so play around with the sizes until you're happy! Choose images that will compliment each other or with a running theme. I chose photos which had a similar colour pallet - soft and bright to keep with the romantic and simplistic style. 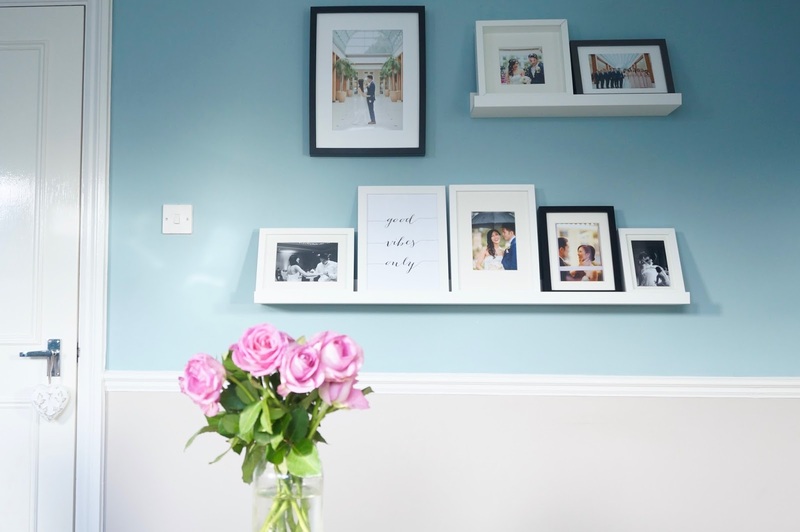 How would you style your photo wall?